Follow The Money has impacted over 2,000,000 rural lives through tracking over USD 10 million meant for social development across African communities. Infected by corruption and kleptomania, budgetary allocations meant for health, education and WASH are squandered by corrupt officials. As a result, vulnerable groups in communities are dying, can’t access quality education, and inequality is widening as a result of the abandonment and poor access to social services. Disturbed that fellow citizens are being shortchanged while officials feed fat, we set out in 2012 to influence social change (disrupt the status quo) by setting up a social accountability model where our team conduct data mining and track budgets/appropriations to ensure implementation. We mine data from official documents (budgets and tender documents) using simple technologies. With our model, we engage [write freedom of information (FOI) letters] officials for project details: amounts, beneficiary community, bill of quantities, etc; and transmit these details to the grassroots. 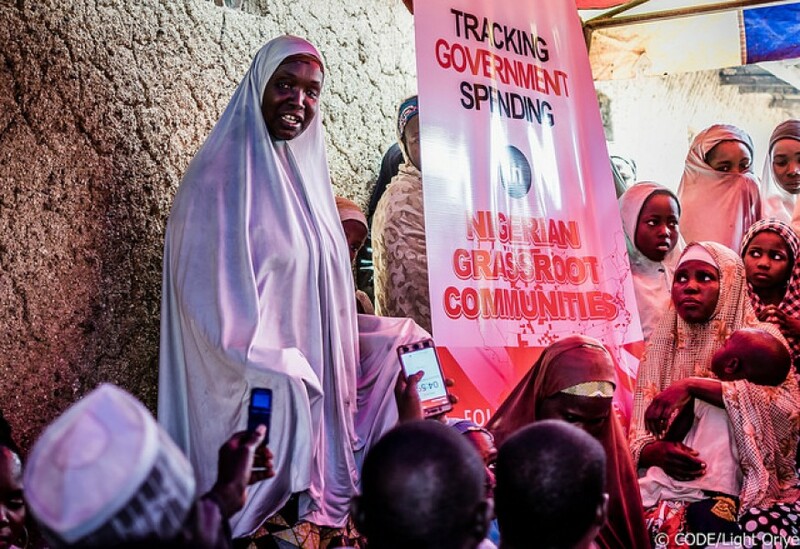 We empower them to ask elected officials questions on accountability, as well as follow up on the projects. We do this by conducting community outreaches for sensitisation and mobilisation. Thereafter, we facilitate town hall meetings - involving community stakeholders, contractors and officials to discuss project implementation deficiencies. By these meetings, we are bridging information asymmetries and strengthening local capacities on social accountability. Through our interventions, essential public projects, hitherto abandoned or could not have been implemented are restarted and completed. By implication, we are facilitating social development in rural communities, fighting inequality and poverty and emphasising inclusive development. We believe the creed of: Leaving No One Behind. And not even deprived communities should be further alienated. Our social accountability project is the biggest and most effective on the African continent. As such, In 2015, we won One Africa Award ($100,000) for transformative efforts for working to actualising SDGs in the continent. Member states of the African Union are currently understudying our model for domestication. Perspective : Nigeria Segment from Open Society West Africa on Vimeo. Connected Development is headquartered in Abuja with a decentralised structure enabling easy community mobilisation and coordination. Currently, we have a board of five (4) and a team of twenty (20) at the HQ, please find here, http://www.connecteddevelopment.org/about-us/; run nine (9) sub-national chapters across Kano, Borno, Yobe, Adamawa, Plateau, Lagos, Delta, Ondo and Edo States; two (2) international chapters in the Gambia and Kenya; and have over 5,000 volunteers across the continent who are on the ifollowthemoney.org platform.